With the change of seasons, changes in flavors are coming at Athens&apos; restaurants. There&apos;s so much more to fall flavors than just pumpkin. See what Athens chefs and mixologists have brewing for the fall. Big City Bread Cafe has been serving Athens housemade breads and pastries, locally grown produce and a variety of drink options since 1998. If you&apos;re looking to enjoy a nice hearty meal, consider doing so in Big City Bread&apos;s outdoor courtyard. Nothing beats sitting under the shaded elms as the leaves begin to change on a crisp autumn day. The string lights that are strung across the courtyard add to the ambiance of the courtyard, making it one of my favorite places to enjoy a meal outside. The fall menu was released in late August and has been popular among guests. Pictured above is meatloaf, beef, lamb, studded with duck confit, finished w burgundy, mushrooms and tomato gastrique. For hours and menu information click here. If you&apos;re looking for a more substantial dish as the weather cools down a bit, Pouch Pies is the perfect spot. Pouch Pies owners are a South African family with Scottish and Maltese parents who came to Athens in search of a new adventure. Pouch Pies serves meat pies with a rich cultural background. Whether you&apos;re looking for a vegetarian option, a British steak and kidney bean pie, a Thai fusion or a sweet treat your options are endless. 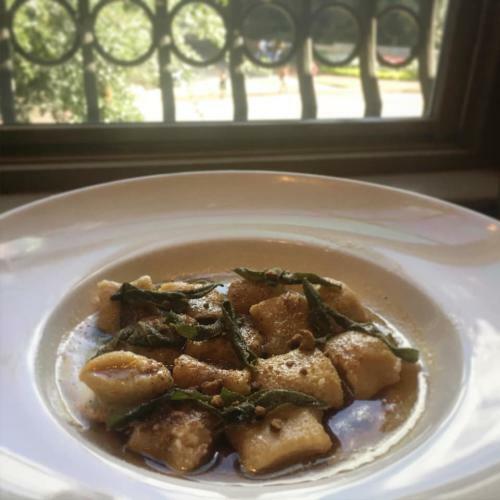 Be on the lookout for this new addition to Dolce Vita&apos;s fall menu, house-made butternut squash gnocchi. This dish is served in brown butter with crispy sage. Butternut squash is a go-to fall favorite. Dolce Vita Trattoria also has house-made ravioli filled with roasted butternut squash and ricotta, served in a gorgonzola fondue and finished with toasted pine nuts. These dishes are just a couple that have been added to the menu as a transition into fall. Home.made focuses on using quality ingredients from the community&apos;s farms. 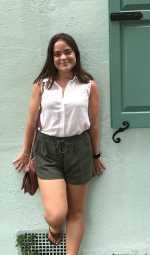 Known for inventive twists on southern favorites, chef/owner Mimi Maumus gets excited about North Georgia apples, pomegranate, Asian pears and all kinds of winter squashes and pumpkins in the fall. 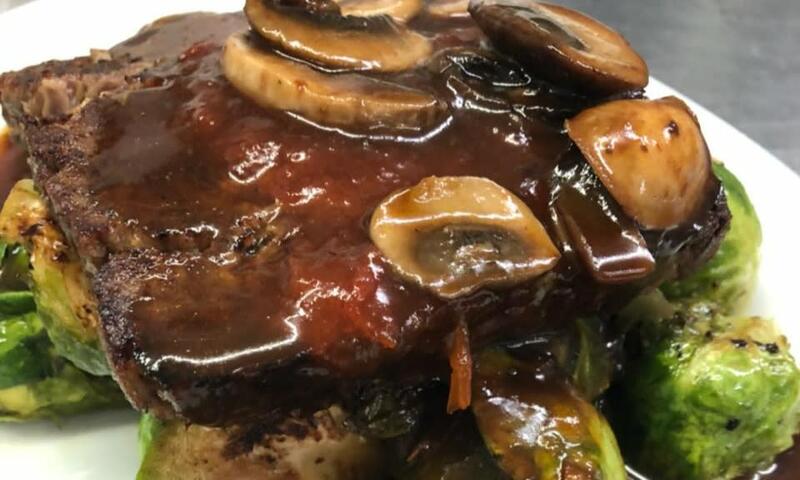 "It&apos;s a time of year for braising meats and creating dishes that are a bit heavier than in the summertime," according to Maumus. Home.made has made the switch from a grilled steak to braised beef short ribs in preparation for fall. Plans are in progress to add a pork chop to the menu with precious little sweet potato fingerling potatoes and winter greens. Home.made&apos;s supper club menu features whatever is on the farm lists for the week so they&apos;ve recently had a roasted Asian pear salad as well as a butternut squash salad. Candy roaster squash soup (pictured above) is on the menu, as well as a pear sorbet to satisfy your sweet tooth. The National is a casual neighborhood spot with Mediterranean inspired foods and drinks. This season The National&apos;s featuring various fall dishes on their menu. 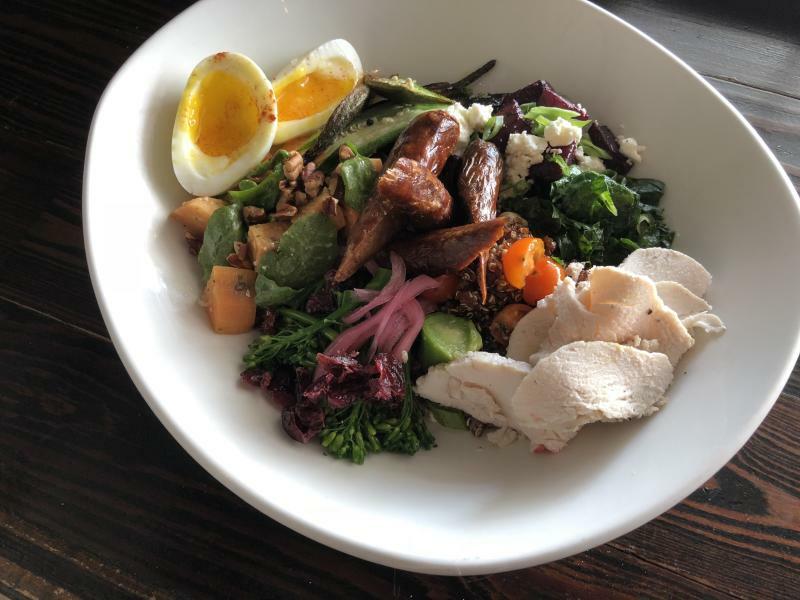 The National has updated their Power Lunch, which is a seasonal daytime vegetable plate. All three protein options for this plate are pictured above including lamb merguez sausage, a 7-minute egg or chicken. 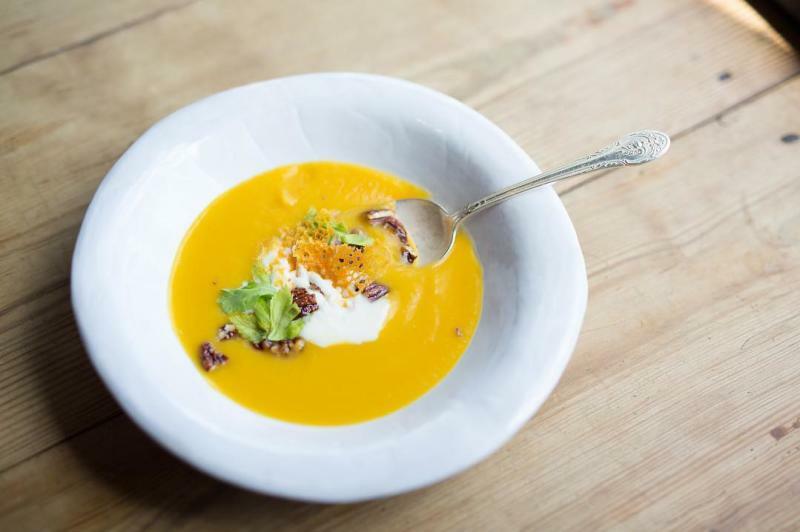 The National has also added a vegan gluten-free roasted squash soup to the menu. In addition, the grilled chicken breast has notes of fall with a butternut chickpea pancake and balsamic roasted peppers. For dessert check out Condor Chocolates Earl Grey Chocolate Tart. Hugh Acheson&apos;s flagship restaurant Five & Ten is known for combining southern food with French and Italian influences. 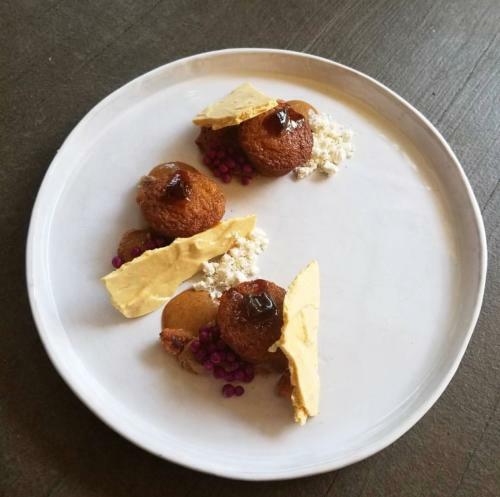 This new dessert with honey, pears, white chocolate, American beautyberry (also known as Callicarpa) and brown butter is just one of many menu items that signals fall is coming! The Hendershot&apos;s pastry chef does much of his baking on the fly, but as fall progresses be on the lookout for apple cider muffins, pumpkin muffins and buttermilk and sweet potato pies. Cranberry almond scones will also be on the menu. Pop in to enjoy a pastry or a drink and stay for one of the comedies or musical acts hosted here. 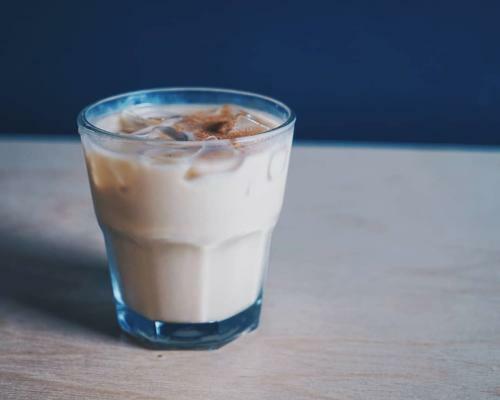 1000 Faces Coffee is currently serving a horchata cold brew called the "Kiss From Arroz." This is a special drink that is a perfect transitional drink for this time of year. The horchata cold brew has "fall-ish" flavors like cinnamon but is an iced drink which works well since it&apos;s still hot out. This drink is made from house-made almond/rice milk, cinnamon, simple syrup and their cold brew coffee. This seems like a must have before the season ends. 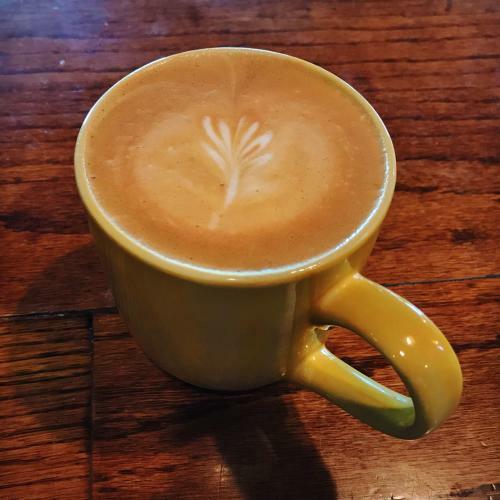 Hendershot&apos;s will be showcasing the usual pumpkin spice lattes and apple ciders, but they&apos;ll also be featuring some maple lattes and salted caramel lattes. If you&apos;re looking for something a little stronger than coffee, why not throw some whiskey in that apple cider? Or get a banging hot toddy? 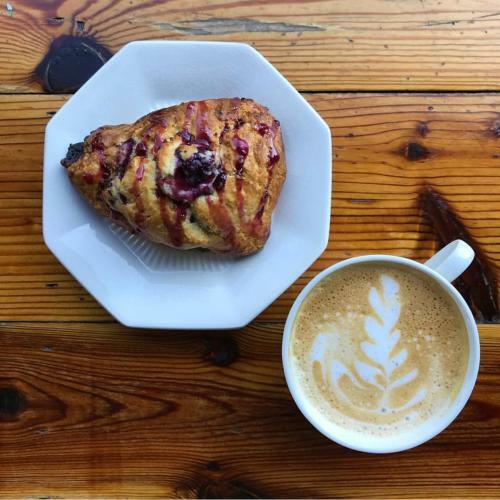 While it’s still a little warm, Hendershot&apos;s will be playing with sweet cranberry flavors and possibly experimenting with apple cider mimosas. Click here to stay updated on their fall menu items. 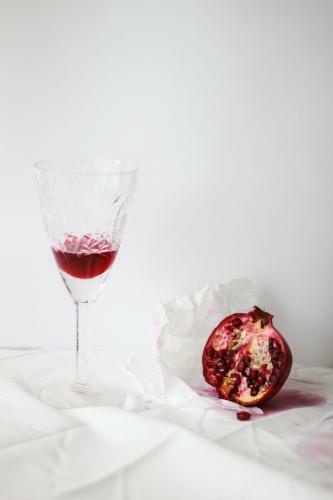 The National&apos;s Peach Quartz is the new fall sangria, according to their Instagram. This drink is a blanc vermouth infused with Georgia peaches and sparkling rosé. Home.made&apos;s specialty cocktail list has shifted to focus on the season - removing the watermelon gimlet and adding a pomegranate take on a cosmopolitan. Southern Brewing Co.&apos;s Le Petite Bumpkin Beer is a limited quantity batch. 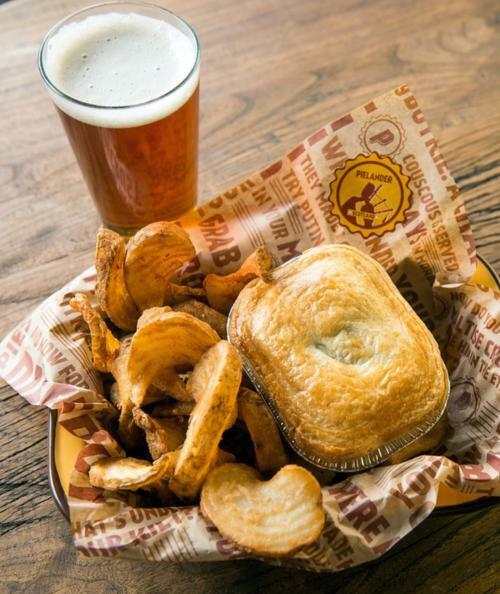 Bumpkin Beer is the inspiration for Southern Brewing Company&apos;s Bumpkin Fest. Southern Brew Co. uses local pumpkins from North Georgia&apos;s own Burt&apos;s Pumpkin Farm! 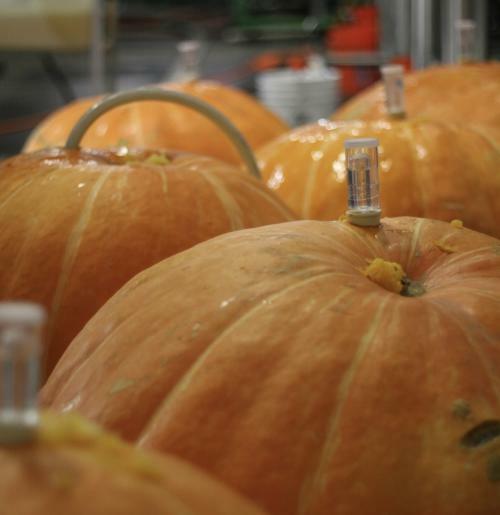 Le Petite Bumpkin is a mixed-fermentation wheat beer with honey and pumpkin. Be sure to stay tuned for updates about the release date on this brew. With the return of fall, there are a number of events that are returning. Check out some of these Athens fall festivals and events. 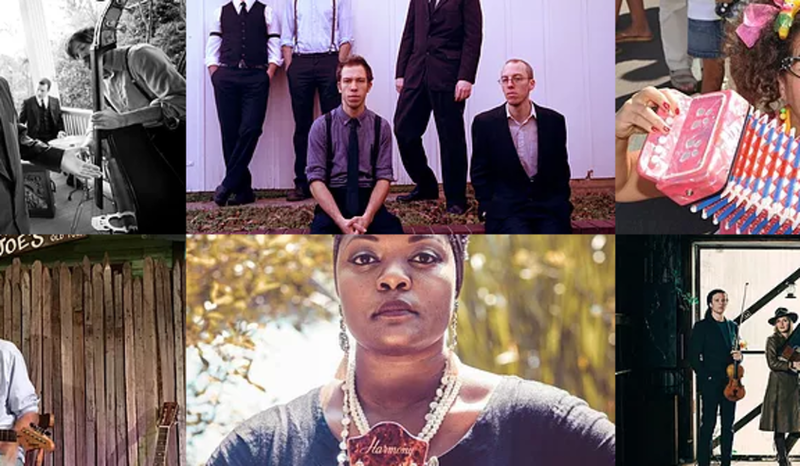 Indie South is partnering with Terrapin to host an outdoor market on Terrapin&apos;s lawn with live music, fun activities like a photo booth, and 50+ vintage and handmade vendors. Learn more here. 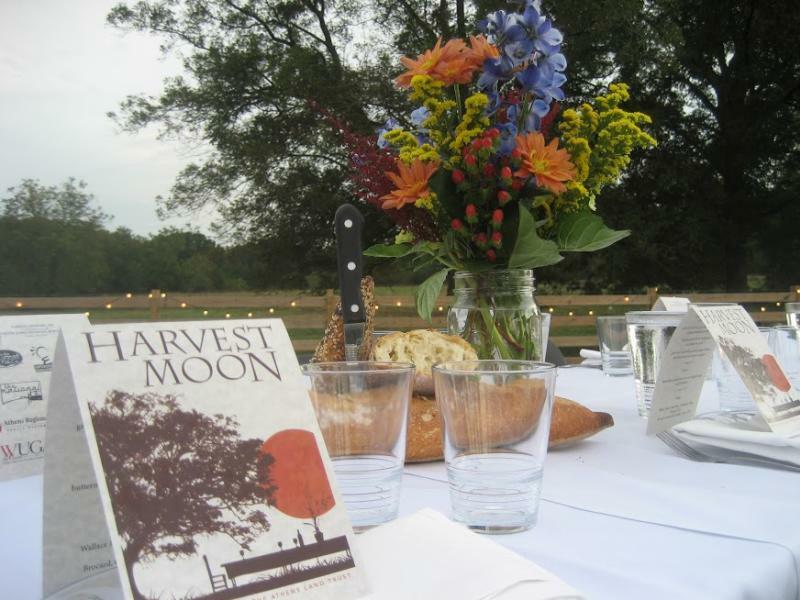 The Harvest Moon Dinner is a farm to table dinner that works to support the mission of Athens Land Trust. The dinner will be provided by LRG Provisions and Last Resort Grill Chefs Brian Head, Aaron Phillips and BJ Bracewell. Ticket prices are $150 and $75 of the ticket price is a tax-deductible contribution. Make plans here for an unforgettable meal. 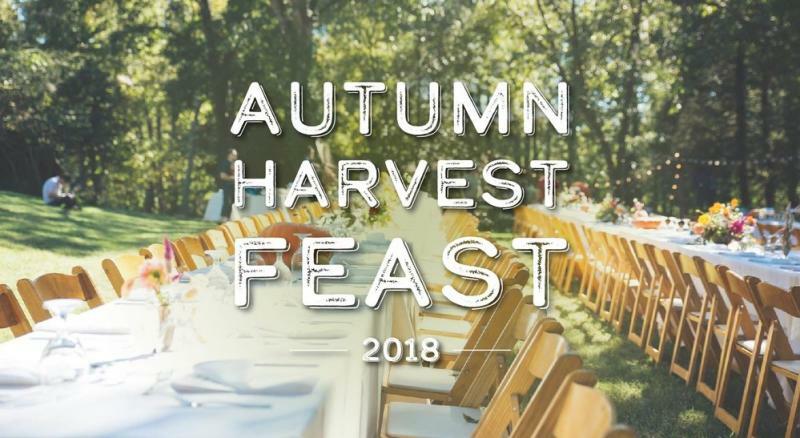 The Autumn Harvest Feast brings together 20 local Athens chefs for a night full of food, dancing, and fun. Local farmers, artisans, chefs and friends will all be in attendance. Proceeds from this event go towards outreach efforts addressing food insecurity in Athens. Learn more here. 2018 is the ninth year of celebrating the release of Terrapin&apos;s So Fresh & So Green, Green. There will be live music, food trucks and vendors and beer sampling! If you pre-purchase a ticket you&apos;ll receive a commemorative Hop Harvest glass. Click here for more information about the event. For more ideas on things to do in Athens this fall, check out our Fall Festivals and Events page.